Volunteer Opportunities, Join the Band Wagon! It takes a large amount of volunteer hours to help organize and facilitate the needs of the MCHS Mighty Ram Band. Your help is greatly appreciated whether it is volunteering in person or from behind the scenes. A volunteer interest survey is listed below. If you would like to volunteer for an event or fundraiser you may do so in a few different ways. The first is by visiting Charms and selecting the volunteer icon on an event. This icon will take you to a sign-up screen where you can pick the day, time, and position that you prefer. A screen shot of the icon is displayed below. Another way to sigh up to volunteer is by responding to an email sent out by the Membership Officer for the Booster Club that will contain a link to the volunteer sign up option in Charms. On money day all parents and guardians have the option of physically signing up to volunteer at the volunteer table. It is very important to sign in and out at each event that you volunteer at during the year. Katy ISD tracks the number of hours that volunteers donate to the various school organizations. We want to make sure that our band family is recognized for the many hours that they commit to each year. t volunteers, thestudent’s name will be entered in a drawing. 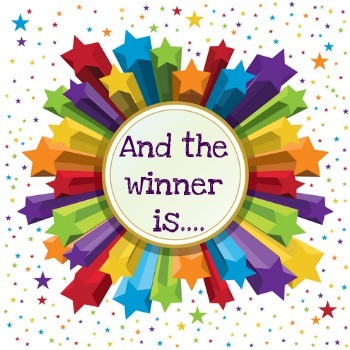 There will be a “Grand Prize” (to be announced later in the year) awarded to the student drawn from the pool of volunteer names. The more hours that are worked the better the student’s chances are of being the winner of the drawing. We will also use the tracking system as a way of determining the candidate for the “Volunteer of the Year” award that is announced at the band banquet in May. Please complete this form and e-mail it to vicepresident@mchsramband.org or return the form to the band hall safe. A list of volunteer opportunities sorted by date is also listed below. 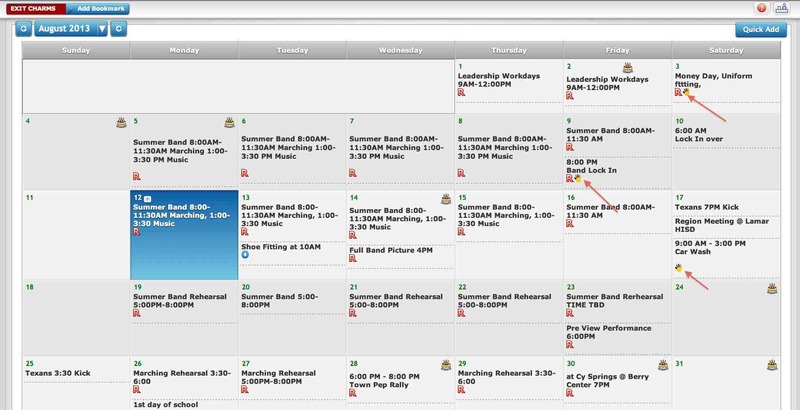 If each parent or guardian chooses two events to volunteer at the needs of the band will be met easily. Chaperones are responsible for assisting the directors and ensuring the safety of the band students. The chaperones are responsible for monitoring students, water coolers, uniforms, plumes, and performing other duties as needed. Chaperones ride buses with the students and ensure student headcount on assigned buses. Chaperone designations and duty assignments are coordinated by the Head Chaperones. The Pit Crew is responsible for activities associated with the sideline percussion area for performances as well as loading and coordinating the transportation of percussion and larger band instruments, equipment, and props. Chaperones volunteering to assist with pit crew are not required to have a Percussion/Drum line student. The Pit Crew is coordinated by the Pit Crew Lead. All adult Chaperones and Pit Crew Assistants must wear a visible identification badge at all times and must enter the stadium with and sit with the band during the event. Lock-In:The band lock-in is an all night activity for all band students held on a Friday, Aug. 11th this year from 9:00 p.m. to 6:00 a.m. on Saturday morning. Although this event is not mandatory, all students are encouraged to attend and participate. This overnight event includes a variety of team building and fun-filled activities such as relay races, blowup games, video games, movies, dodge ball, and more! Snacks such as drinks, cookies, chips, etc., are provided by the students according to their sections. Volunteers are also needed to chaperone this event. 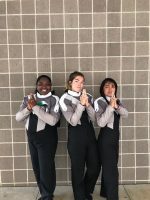 KISD Invitational Marching Contest (Katy Marching Festival):This contest which is hosted by KISD is held at Rhodes Stadium in October of each year. The duties and responsibilities are shared by all high schools in the Katy Independent School District and their associated band booster organizations. While one KISD school takes on the responsibility as host for all contest participants, another school operates the concession stands and another oversees the parking and gate admissions. 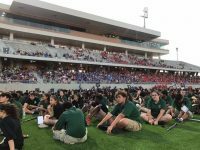 The proceeds from the Katy Marching Festival are divided equally between the six KISD Band Booster Organizations after all expenses have been paid. No students and/or children are allowed to volunteer due to liability issues. UIL Marching Contest:Other designated KISD schools will then host and run the associated UIL Marching Contest which also takes place in October. The proceeds from the concession stands and gate receipts from UIL are equally divided between the six KISD Band Booster Organizations after all expenses have been paid. Uniform / Hat Committee:The Uniform Committee assists with uniform fitting and sizing adjustments at the beginning of the Marching and Concerts Seasons in addition to coordinating the dry cleaning and maintenance of uniforms. The Uniform Committee Chairperson needs assistance to hem marching uniform pants before marching season and to hem concert uniform pants and dresses prior to concert season. Volunteers also assist in issuing/collecting uniforms and hats throughout the year (marching, contest performances, cleaning etc…) and assist with any needed repairs. Please do not hesitate to contact a board member with any questions.